Lately I have been playing again the first Donkey Kong Country game and enjoying the memories behind it. Back in the day, it was the first game on the SNES that had these enhanced graphics that made the models look really 3D. Nowadays not much is left of that feeling, since we have been buried under a barrage of 3D. After playing a few hours I suddenly remembered that, although DKC had been the first in the series I had played, it was the only one I had played on the SNES. Back in the day I remember that we did not have two or three consoles in our hands, but only one each of my friends chose. One had thus a SNES, another the N64 and the last a PS1. What we shared, though, was the Game Boy, a system that was relatively cheap and easy to bring to a friend’s house. I played mostly on it, since my TV was in the clutches of another four family members. 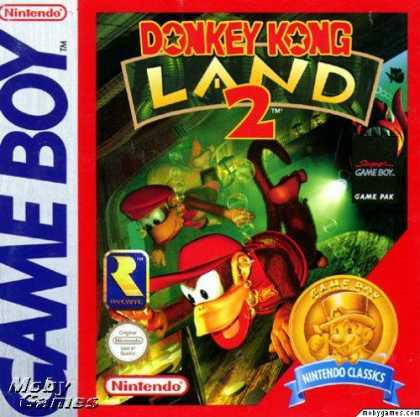 Thus, when I saw Donkey Kong Land 2 I was pretty much sold for this game. I had played the first one before, but aside from the minor changes that accompanied every new release, I think the games were essentially the same. The first stunning thing I remember from the Land series is that it was a very faithful adaption of the Country counterpart. It may not have been the same game in level design, but the graphics were, surprisingly, very similar, even though the GB had only 4 colours to work with. Also, the music was great. 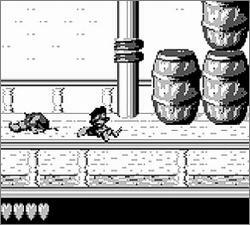 The controls reflected the same game as in the game boy and the myriad of secrets were still present without affecting the gameplay. The only drawback was the graphics. Yes, I said that they were great, but considering that on the Game Boy you could only scale some shades of grey, sometimes the background and the characters melted in to create a confusing mix of pixels. In most levels it was not such a huge problem, but the dark levels were at the first tries very hard because sometimes you could confuse a platform with an element of the ambience or an enemy with the same. Still, the game was pretty good. It was one of the few games I looked up to exhaustion for the last secret, just to play the harder K. Rool. Besides, I loved that boss battle. Even the losing animation, where Dixie cries, was ported over to the GB. For those who had no SNES, this was a sign that they had not to conform with poor ports, since equally good games could come out; and similar. 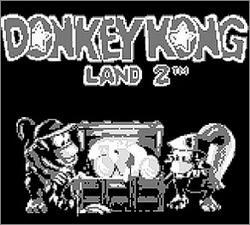 Unlike the first Mario Land, which was a good game, but something totally different.